The influenza virus takes a massive human toll every year worldwide, in both developed and developing countries alike. The numbers are staggering: in the U.S. there are an average of 200,000 hospitalizations and 40,000 deaths annually. Around the world, there are over five million cases of severe illness and as many as 500,000 deaths. In 1918, the Spanish Flu pandemic infected 500 million people, and killed 50 million - 3% of the world's population. To put this into perspective, in WWI 9 million soldiers died. Most influenza outbreaks disproportionately kill juvenile, elderly, or already weakened patients; in contrast the 1918 pandemic predominantly killed previously healthy young adults. Kofi Annan said, "Avian flu threatens the entire world." Top researchers, scientists, and government officials say that it's not a matter of IF this will happen again, it's a matter of WHEN. When it does hit, hundreds of millions - if not billions - of people could die. This is a top threat to public health, and an unmet medical need. A respected anthrax researcher said "I don't think anthrax is scary at all compared to a flu pandemic." 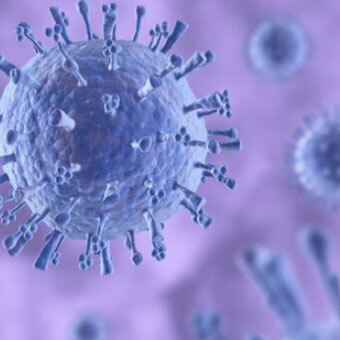 Influenza virus and HIV are the two most prominent hypervariable viruses afflicting the human population. When cells divide, they must replicate (copy) their DNA. Viruses do the same, but Influenza virus and HIV do so with remarkable imprecision. One might imagine that making mistakes (mutations) when copying one's genetic material would be a massive weakness, but influenza virus and HIV have utilized this seeming deficiency to their great advantage. Their high mutation rates have led to their escaping most drugs that we've thrown at them, and have befuddled the colossal efforts of scientists around the world to develop effective vaccines against them. As assuredly as these viruses will continue to pile on mutation after mutation, they will not simply go away, and unless we somehow change course-shift our paradigms-in our battle against them, we cannot realistically hope to turn the tide. There is no effective vaccine against HIV. Flu vaccines currently in use are inarguably subpar, and one of the main reasons for this is that not only do they not select which stretches to target, but they tend-unintentionally-to target stretches that are the least invariant (most variant), that is, the virus can easily mutate these and survive just fine. What is on the horizon for HIV and flu vaccines? It goes without saying that HIV and flu vaccine researchers are intimately conscious of the mutational conundrum. The solution that many have embarked upon is to target stretches that are highly conserved, meaning that across the many viral strains in nature these stretches are the most similar or identical. (As an example: 95% of strains AGRWE and 5% AGCWE would be highly conserved, whereas 60% CTSLV and 40% CTELV would be poorly conserved; the cutoff is relatively arbitrary). This strategy is used for two reasons: (1) it should account for the many different strains in nature, and (2) by a straightforward logic, conserved stretches are assumed to be invariant. We at InvVax are looking elsewhere, however. 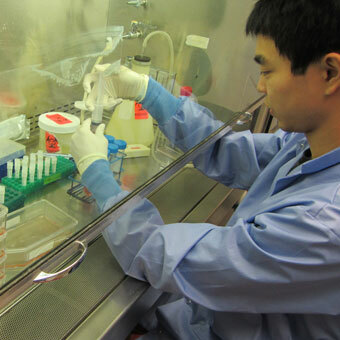 We believe there is a weakness in these viruses that can be exploited by a vaccine to prevent infection and disease. The weakness is this: these viruses, as with virtually all pathogens, have stretches within their proteins that are fixed, that is, any mutations here will result in a virus unable to replicate - in essence, a dead virus. By definition, these are the most invariant stretches. Present vaccine technology allows one to pick and choose which stretches to target, although this technology is still in its infancy. By selecting a few of these invariant stretches, one would "back" the virus into a "corner" from which it cannot escape.